Lucy Wainwright Roche: In The Family Business But on her new album, There's a Last Time for Everything, Roche doesn't feature any of her famous family of musicians. She tells NPR's Melissa Block it was "great to do it in a little bubble away from the family." The album includes an unlikely cover — the Robyn anthem "Call Your Girlfriend." Songs by Lucy Wainwright Roche seems to be told with a shrug, a note of apology, or modesty. 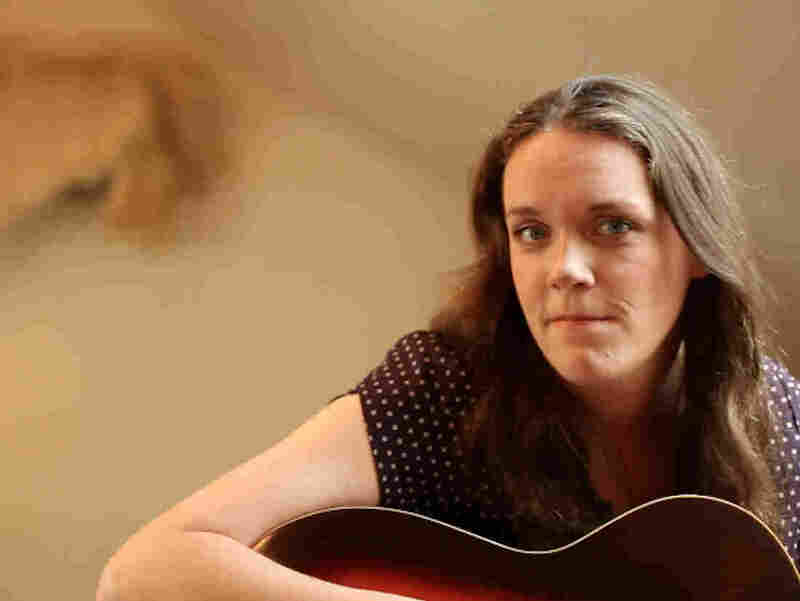 And, yet, her father is the witty and acerbic singer-songwriter Loudon Wainwright III. Her mother is Suzzy Roche — one third of the harmonious Roche sisters. Her half-brother and -sister are Rufus and Martha Wainwright, each acclaimed singer-songwriters in their own right. But Lucy Wainwright Roche looked around at all that talent and didn't really want to be a part of it. "I had no interest in being a musician because I was surrounded by them. It seemed like a terrible plan," Roche tells NPR's Melissa Block, laughing. There's a Last Time for Everything is available from Amazon and iTunes. Her own shyness was also an initial problem. "The very first show I did alone had been a terrible, awkward, horrible disaster," she says. "And then the second one — about halfway through I realized I should just be the way I would be if I was just talking to one person. That solved the problem. Then I was like, 'Oh, I'm not really building the mystique. I'm just sort of being normal. And that helped because I'm not much of a mystique builder." None of Roche's family appears on There's a Last Time for Everything. That's in part due to the short recording schedule, but she says it was "great to do it in a little bubble away from the family." Somewhere in the middle of the album, Roche covers the empowering Robyn anthem "Call Your Girlfriend" and strips it down to what a friend of her calls a "sad snoozer." "When I first heard that song," Roche says, "I was like, 'Wow, I have never heard someone say exactly that in that way in a song before.' I'd never heard somebody say, 'Look, call your girlfriend. Tell her we're going to be together now and tell her it's fine.' I thought it was a quite direct and interesting approach, although I'm not sure how well it would work in real life. But I was smitten with the idea of the song." The first time listeners might have met Lucy Wainwright Roche was in a 1985 song written by her dad and aunt, Terre Roche. "Screaming Issue" is a beautiful lullaby about Roche as a screaming baby. She loves it now, but as a kid, she really didn't like it "because people would always sing it to me." Her parents split up when she was 2 years old, and since Loudon Wainwright spent part of his time in England, father and daughter didn't see each other very much during her childhood. Roche says as an adult, she's traveled a lot with him on tour. "I think it's a thing that most people who don't spend a lot of time with a parent as a kid, [they] rarely get to make it up," Roche says. "And we have in a way. So that's been a really interesting chapter for us, I think."